This house, one of few that survive in this part of Granite Street, had a carpenter’s shed along the alley to the rear when it was built about 1890. It has several additions, including a flat-roofed section and a gable-roofed addition on the rear, and the street-level garage is post-1916. The original address here was 219 E. Granite, changed by 1891 to 227. 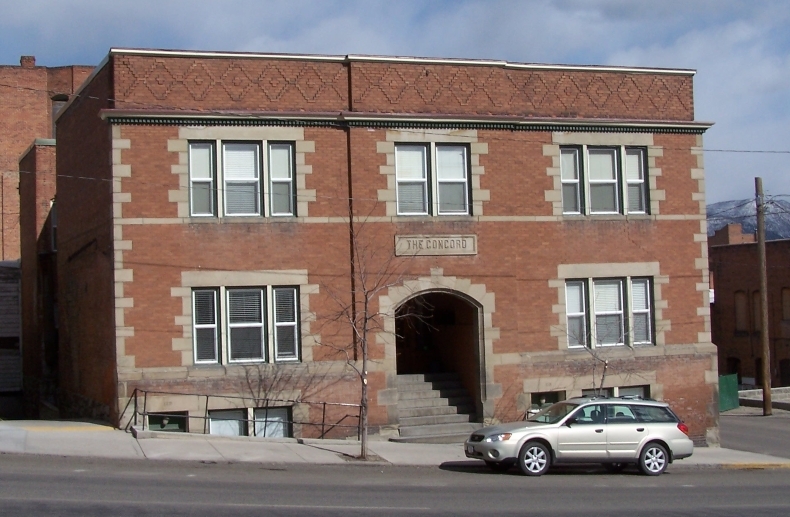 Directly across the street was the first Butte High School (later Washington Junior High). The house was owned by Julia Coughlin at least from 1906-1918, and her son William was living here when he apparently committed suicide by drinking cyanide Nov. 7, 1932, next door at 223-225 East Granite (William Rabey’s house in 1932). Sources: Architectural inventories, Sanborn maps, city directories; Anaconda Standard, Nov. 7, 1932. Photo by Richard I. Gibson. 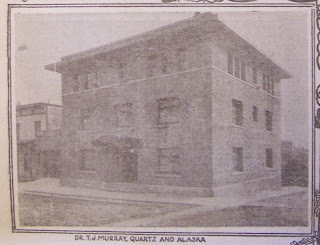 This building was constructed in 1910 as a three-story structure as the nurses’ home and laundry for the Murray Hospital that stood across Quartz Street (see this Butte History article for an image of the hospital, now gone). It was valued at $35,000 in 1910; the fourth floor was added before 1916. Dr. T.J. Murray also lived here, and additional apartments occupied floors 2 and 3; the nurses lived on the 4th floor and the laundry was in the basement. By 1951, the ground floor was still a doctor’s office, and apartments filled all the upper floors. 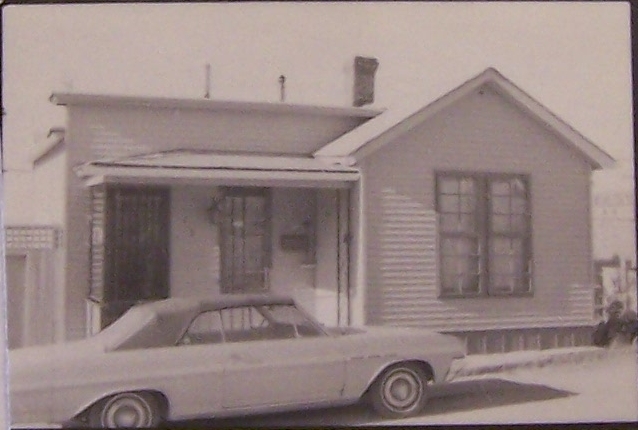 An attached garage originally occupied the lower level of the 2-story addition to the east, which still stands. The main building is of reinforced concrete construction with brick veneer walls and a copper railing at the top of the third floor, originally a cornice at the top of the building. There was a tunnel beneath Quartz Street connecting the basement laundry to the main hospital across the street; it was “not used” by 1951. Dr. Thomas J. Murray was born in Tennessee in 1855, and graduated from Jefferson Medical College in 1879. He came to Butte in 1885; over time, he served as the Vice-President of the American Medical Association, President of the State Board of Medical Examiners, and President of the Silver Bow Club. 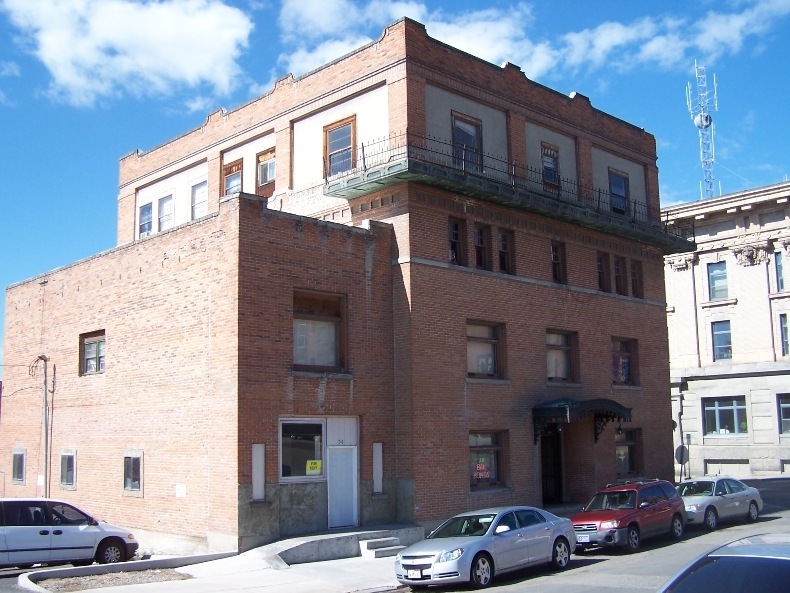 He was actively involved in planning and construction of the Silver Bow Club’s new 1906 building. After about 1918, Murray lived at 401 West Granite. He died in 1930. 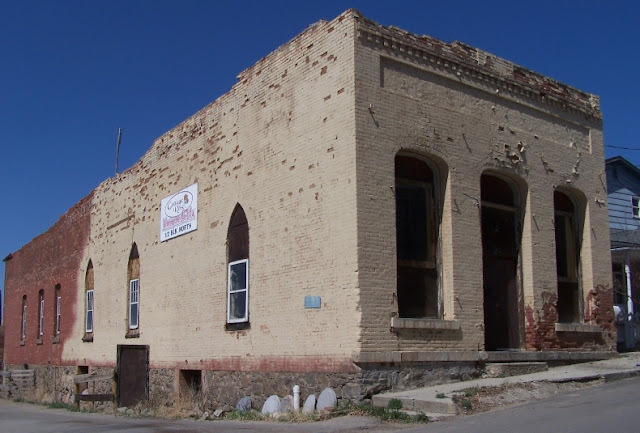 About 1919, this building was purchased by Dr. Caroline McGill, Montana’s first female physician. She maintained her clinic here and also lived in the building along with the tenants. Among her clients were many of Butte’s Chinese, who often paid for McGill’s services in barter, often with Chinese porcelain. McGill’s collection is now in the Museum of the Rockies in Bozeman. McGill (1879-1959) was born in Ohio and grew up in Missouri, earning a doctorate in anatomy at Missouri State University in 1908. She studied medicine in Europe before coming to Butte to work for the Murray Hospital in 1911. She received her M.D. from Johns Hopkins in 1916 and came back to Butte, where she practiced until 1956. McGill purchased the 320 Ranch in the Gallatin River Canyon, which is today a guest ranch. This building’s connection to both Murray and McGill, together with its long history as a medical facility and its unique copper railing, make it a significant historical resource. In 2013 it is used for offices and residences. Sources: Architectural inventories, Sanborn maps, city directories. Modern photo by Richard I. Gibson; historic photo from Anaconda Standard, Dec. 18, 1910; Murray photo from architectural inventory file at Butte-Silver Bow Public Archives. Web resources: DR. CAROLINE M. McGILL (1879–1959) ; A true pioneer: Caroline McGill, by Rob Chaney (1997) ; Caroline McGill, by Ellen Baumler. This one-story duplex, like its neighbor down the block at 324-326, was built between 1891 and 1900. 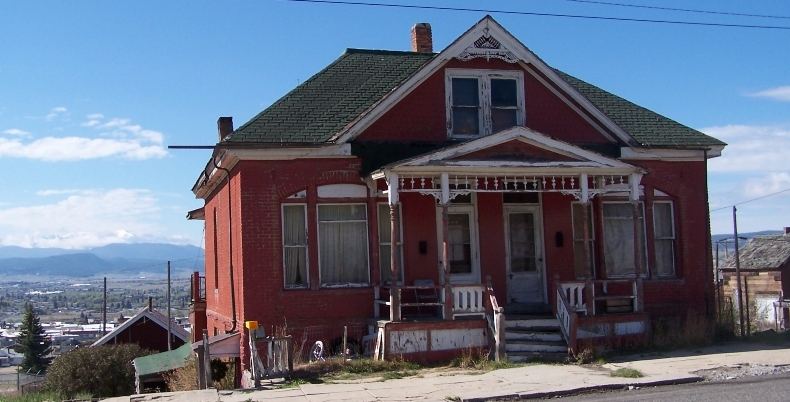 An early owner was John Gleason, a blacksmith who emigrated from Ireland in 1871 and was in Butte living in this house in 1900. His wife Mary (from Iowa of Irish parentage), four children, and roomer John Case (a miner from Maine) also lived at 306, the west part of the duplex, in 1900. 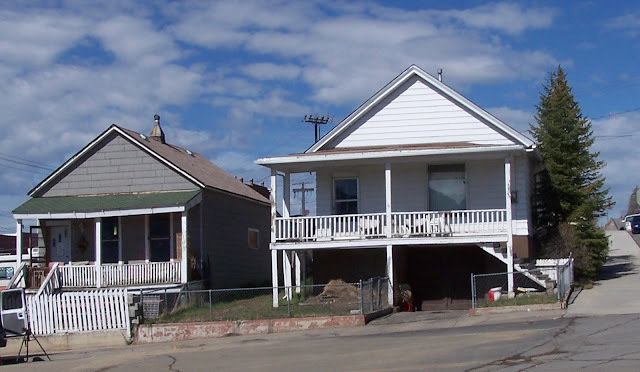 In the other part of the duplex, 308, Mrs. Bridget Brennen (or Brennan) lived with her son (Michael, a miner at the Neversweat), daughter, and six roomers – four from Ireland as Bridget was, and two of Irish parentage. She had moved to this home about 1899, shortly after her husband Patrick died. They had been in Butte since at least 1896. Even though today we think of much of this section of East Granite and Broadway as Finntown, many Irish were evidently living here as well. Sources: Architectural inventories, Sanborn maps, city directories. Photo by Richard I. Gibson. This house was one of four duplexes in the 300 block of East Granite, and one of two that survive, directly across the street from the Butte & Boston Company’s Blue Jay Mine. It was constructed between 1891 and 1900; in 1900, it had a full porch in contrast to the central partial one seen today. The house has a daylight basement, a central gable, and eyebrow dormers. In 1900, the east half (326) was a dressmaking shop, according to the Sanborn map, and residence (based on city directory listings), while the west half (324) was boarding. Mrs. Sarah Cross (born New York of Irish parents) rented 324 in 1900, together with her three children, a servant, and two miners who were her boarders. At 326, the dress shop, Robert and Ida McElroy lived with a boarder, Michael Call, a miner from Michigan. Robert McElroy was a teamster (or miner) from Canada, of Irish descent, while his wife Ida was French-American from Minnesota. Thus in 1900, a total of 10 people lived in this building. 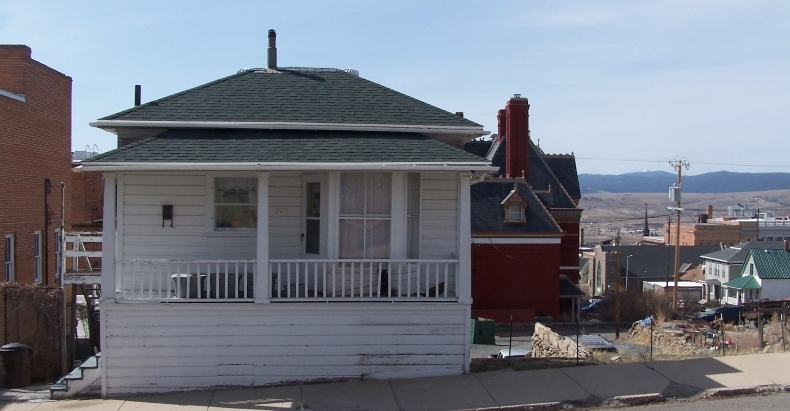 Such complex living arrangements were common in Butte in the 1890s through the 1930s. This porch- and gable-fronted cottage was among the last survivors on East Granite Street, still standing in 1985, but gone today. It was a brick-veneer frame home, with a wrought-iron fence. One of the earliest renters here was James Burton, a miner from Michigan of Scottish ancestry, and his wife Agnes, from Minnesota of Irish heritage. Burton was a miner in 1900, but in 1901 he was a policeman living here. 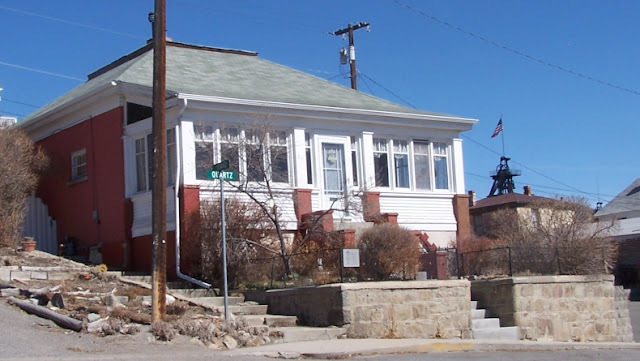 He moved in 1902 across the street and a few doors west, to 341 E. Granite, adjacent to the Blue Jay mine yard. He continued his community service work in 1902-03 as a pipeman with Hose Company #1 and as a fireman for Hook & Ladder Co. #1. Mrs. John Anderson lived here in 1908 when she died July 1 of scarlet fever. Toivo and Anna Saari lived in the home in the late 1950s. 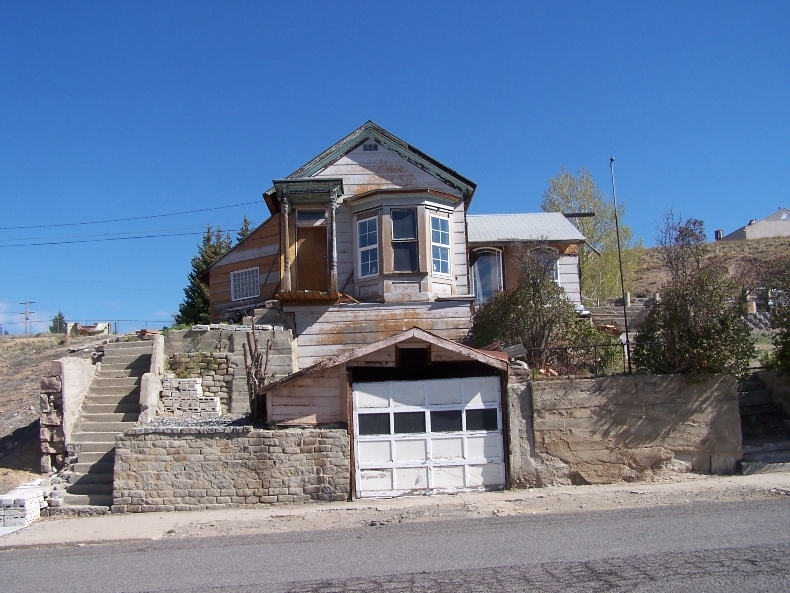 The house was present when the satellite view on Google Maps was made, but was gone by the time Google Street View came to Butte about 2009; it was demolished in the spring of 2004 by the Butte Public Works Department. Sources: Architectural inventories, Sanborn maps, city directories. Top photo from architectural inventory, probably by Mary Murphy. 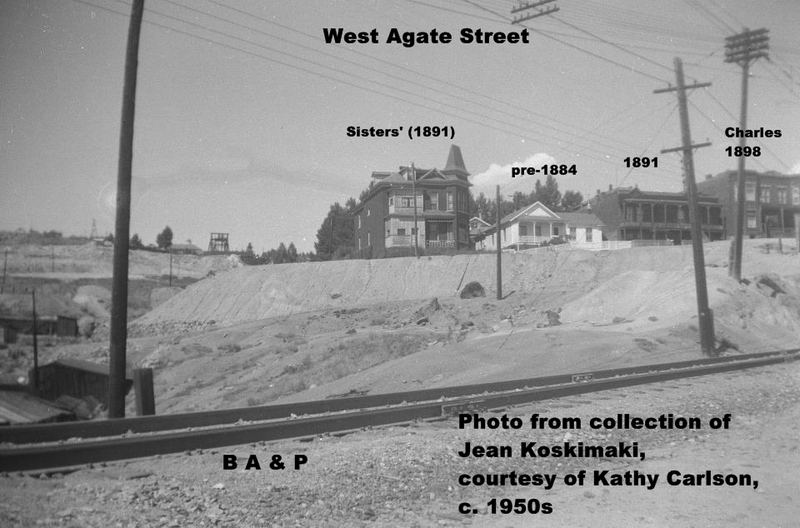 Small photos (before and during demolition) from Butte Public Works Dept. presentation, 2004. This is the only surviving 1920s gas station in Butte, and one of only a few in Montana. It was originally owned by J.B. Halford and R.P. Morris, who had it built in 1928 at a cost of $3,000, and ran it under the name Better Service Station. This corner held a small pre-1884 house that in 1891 was a carpenter’s shop and upholstery business. 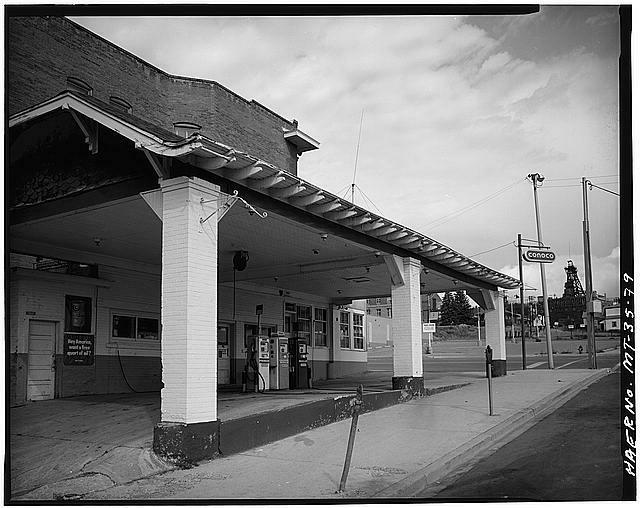 By 1916, the corner was a vacant lot, likely vacant until the gas station was built in 1928. James and Mae Halford lived on the Flats at 1940 Oregon, and in addition to the service station he held a job as a lineman for the Mountain States Telephone Company in 1928. Roy and Sarah Morris lived at 1310 West Gold Street when the gas station opened in 1928. The station was still operating in 1979, as a Conoco franchise. Sources: Architectural inventories, Sanborn maps, city directories. Top photo from HAER survey, 1979, by Jet Lowe, from Library of Congress. 2007 photo by Richard I. Gibson. These two houses both predate 1884, making them among the oldest survivors in Butte. A third house, a plastered 2-story home built before 1888, once occupied the lot to the south at 323. 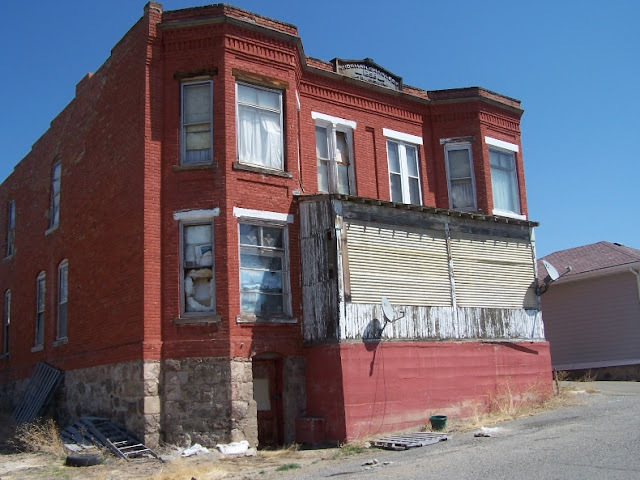 An early resident of 327 was John A. Montgomery, a tailor who had come to Butte from England, and his wife Ella (from Wisconsin), their daughter, and a lodger who was also a tailor. It is a wood frame house. 331 N. Wyoming was originally owned by Marcus Daly, who sold it in February 1891 to Mrs. Mary (Margaret) Weed, widow of Fitzgerald Weed, for $2,500. Mrs. Weed was still living there in 1900. In 1910, miner John Kennedy from Ireland lived here with his wife, daughter, cousin, and two more lodgers. The house is brick veneer over wood frame, with later stucco and siding added. It originally had a double bay front, but after 1916 the bays were removed and the porch added. These two houses have seen a lot of Butte history. North across Copper Street from 331 was the Washoe Mine in 1884, closed by 1888 but still there for several years thereafter. The corner of Copper and Wyoming is near the foot of the Anaconda Road, where thousands of men poured down from the Hill at every shift change. A saloon stood directly across Wyoming from 331, on the southeast corner of Copper and Wyoming. 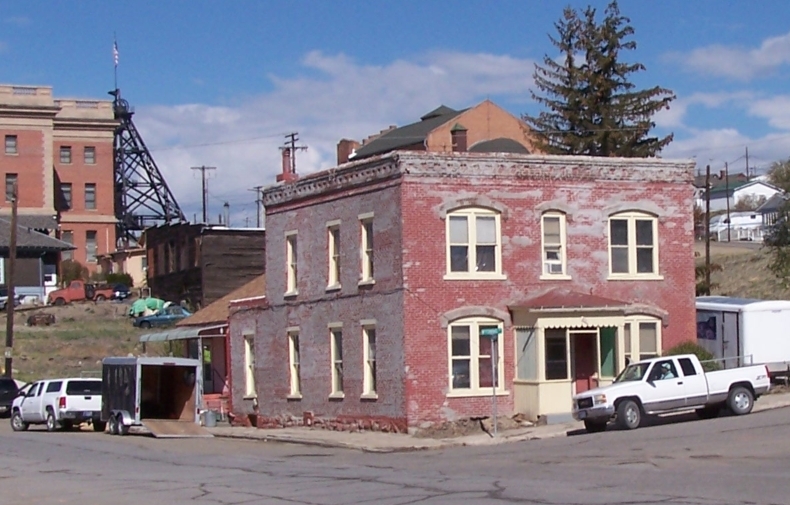 In 1884, an early Miner’s Union Hall was a half-block south of these houses at the corner of Wyoming and Quartz, and across the street and slightly down Wyoming Street, the Butte Brewery, Finlander Hall, and Mrs. Byrnes’ Boarding House stood—the latter the site of Frank Little’s abduction in 1917. This boarding house at the corner of Copper and Wyoming Streets was built in 1896 at a cost of $4,000. It is a brick-veneered frame two-story flat, with decorative brick corbelling at the cornice. Mrs. Maggie Shay was the original owner and manager of the house, conveniently located almost at the foot of the Anaconda Road where thousands of men passed every day at shift change time. By 1900, Thomas Curtis was running the boarding house. In 1910, the place was managed by Mrs. Irene Crossan. 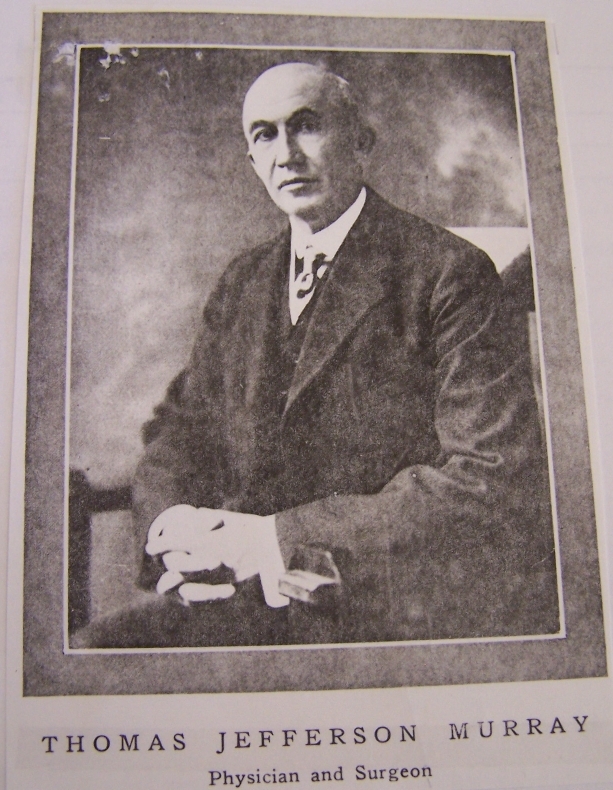 Peter Hastings, an immigrant from Ireland, came to Butte about 1915 and lived here in 1916. Peter died in the Granite Mountain fire June 8-9, 1917, and was buried in the mass grave in Mountain View Cemetery containing the 66 unidentified bodies from that disaster. In 1935, Mrs. John O'Neill lived here. See this Butte History post for a story connected to her and her son, a policeman killed in the line of duty. The address here was 417 N. Wyoming for much of its early history, changing to 401 sometime before 1951. The photo above includes a lot of history in the background: 31 E. Copper at the left edge of the view, with the U.S. Federal Building behind it; the Original Mine headframe; St. Mary's Church beyond the roof of 401; and a little house immediately behind 401, to the left, which was moved from up the Anaconda Road. Sources: Architectural inventory, Sanborn maps, city directories. Photo by Richard I. Gibson. When John Harrington sold this lot in 1888, he reserved the right to mine within twenty feet of the surface—without reinforcing his mine with timbers. Understandably, the purchasers, miner Con Ambrose and his wife Sarah, built a functional, no-frills gable-front-and-wing residence in the early 1890s. Deeds like this one provided a disincentive to invest heavily in a home, and for good reason. Mining took precedence as the nearby Berkeley Pit—once home to crowded neighborhoods—demonstrates. 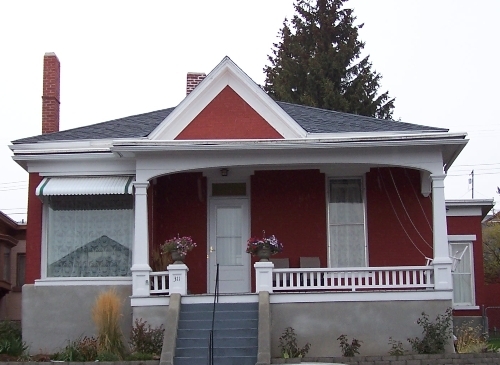 In 1894, the Ambroses sold the home to Philip Goodwin, city circulation manager for the Butte Miner newspaper. Most of the other early owners were miners, many of whom worked at the nearby Parrot Mine. Among them were John Wallace, a miner from Tennessee who lived here in 1910 with his wife Bessie, a boarder, and a lodger, and Maurice Condon, whose family purchased the residence in 1912. Maurice died in 1925 at age fifty-two of pneumonia, one of the many lung ailments common to miners working amid dynamite, damp, and dust. After his death, his widow, Annie, worked as a clerk and housekeeper. She lived here with her son, also a miner, into the 1930s. Although this is the only house surviving on this part of East Quartz Street, the area was once crammed with homes and people, likely with a population of more than 200 in one block alone. See this Butte History post for a report on an 1897 New Year’s Eve party just across the street from this house, and more about the neighborhood. 216 E. Quartz was almost straight across the alley from 223-225 East Granite. Sources: Historic plaque by Montana Historical Society; architectural inventory; Sanborn maps; city directories. Photo from architectural inventory, by Mary Murphy, c. 1985. Once among the largest commercial buildings in Walkerville, this building was built before September 1884 by John Caplice and Alfred McCune to house one of their general stores and groceries, to serve Walkerville at a time when its population was about 900, with another 1,000 or more likely in the immediate vicinity beyond the town limits. For more on Caplice and Company, please see these three Butte History articles. In 1900, the building was serving as St. Joseph’s Catholic School, with Revered Francis Batens in charge. Sister Mary Cecilia was the “superioress,” and the school had seven teachers in 1904. St. Joseph's school relocated to California and First Street by 1908, to be nearer St. Joseph's church. By 1906, this building was in the hands of the Methodists, used as Mt. Bethel Methodist Episcopal Church—they moved from 123 Clark in Walkerville. The pastor lived in a separate section in the rear, which is part of the original 1884 building. The Mt. Bethel congregation was organized in 1884, and in 1910 it had 40 members (compare Mountain View Methodist at 400 members in 1910). This space continued to serve as Mt. Bethel church until 1972. Since then, it has been used sporadically for various purposes, including fireplace hearth manufacture. The brick is laid in American bond. The building has a stone basement and is vacant in 2013. The lancet windows are likely early renovations dating to its use as a parochial school or the church. The address here is sometimes given as 1609 N. Main. Resources: Sanborn Maps, Architectural Inventory, City Directories. Photo by Richard I. Gibson. Norman Charles was an early Butte resident, listed as an expressman (a cargo manager for a railway company) in 1885. By 1891, he and partner John King (later, Charles partnered with John Spargo, who roomed at 117 W. Copper) were operating a saloon on the west side of the cable line, “2 south of power house”—meaning the electricity generating station for what was evolving from the cable car line to the Butte Electric Street Railway. 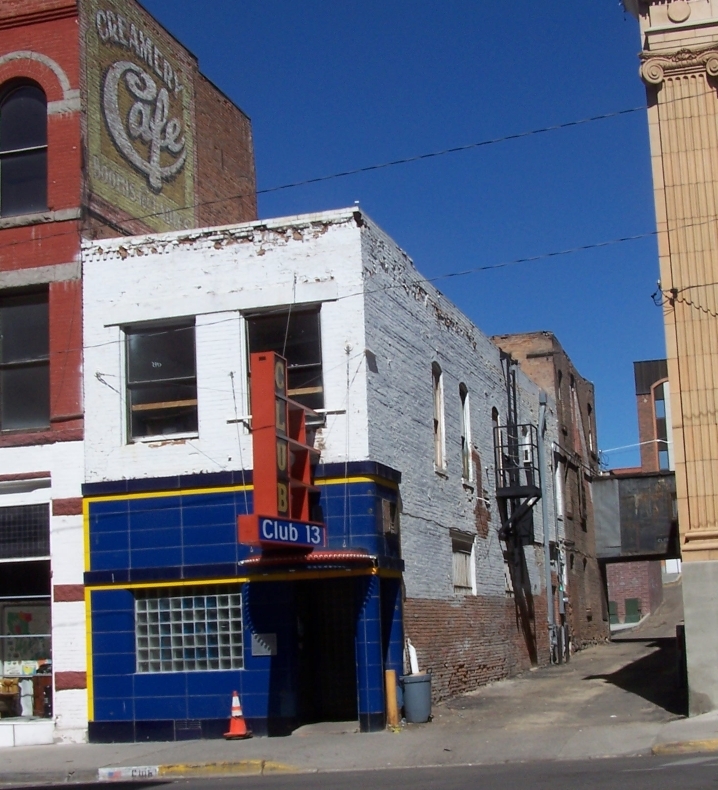 The saloon location was at the corner of the alley west of Main Street and the alley between Agate and Ruby Streets just north of the location of the boarding house in the photo above. Charles lived on West Agate Street, in a house at #7. By 1900, Charles had moved his saloon to a more prominent location, 69 East Park, in the east half of the building housing Rudolph’s Furniture today. And he was successful enough that in 1898 he erected a large double-bay fronted boarding house at #3 West Agate, shown in the photo above. The parapet reads “Norman Charles Block 1898”. The porch enclosure is not original. The Charles Block replaced a large double-bay-fronted frame dwelling of 1½ stories, probably Charles' previous residence at #7, but the address scheme is unclear for the 1880s and early 1890s. This enclave of a few blocks was surrounded by industry, with the trolley barn and power house a block north, the Clear Grit mine a block east across Main Street, and railroads, both the Butte Anaconda & Pacific and the Montana Union, bounding the northern and southern limits. There was a gulch to the west which ultimately drained south, past the Original Mine and the Court House. That gulch is still present today as a culvert that approximates Alaska Street and continues underneath the heart of the central business district. The photo below, from Jean Koskimaki's collection from the 1950s, shows the isolation of this area. Of the buildings in the photo below, only the Charles Block still stands. Norman Charles was living at 504 S. Washington in 1910, and probably died before 1918. Resources: Sanborn Maps, City directories. Photo by Richard I. Gibson. 1950s photo by Jean Koskimaki. Two stories and a daylight basement provided ample room for the many lodgers that lived comfortably in this spacious turn-of-the-twentieth-century rooming house. The building’s first owner, boilermaker Carl M. Swanson, lived here with this wife, Tessie, who managed The Concord between 1901 and 1907. Under a tenant proprietor in 1910, census records show forty-one residents of varied backgrounds, ranging from professionals (including a dentist, a newspaper editor, and several business managers) to clerks and The Concord’s domestic employees. 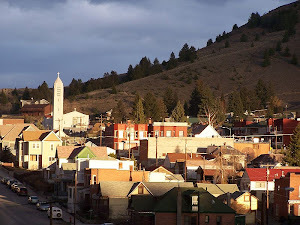 While many of Butte’s residential flats and walkups reflect similar architectural styles, The Concord’s magnificent appearance is unique to the business district. A rough-quarried stone foundation and handsome stone trim contrast sharply with dark red brick, making the building a district highlight. In the 1930s, some of The Concord’s furnished rooms were converted to ten apartments. These, along with nine individual rooms, remain today. The graceful arched entry still welcomes its residents to an elegant interior, where the original oak staircase with turned spindles and skylight above are grandly intact. William A. O’Brien, architect of the Leonard Apartments and the Kelly and Hennessy mansions, designed this handsome building of brown brick veneer in 1919. 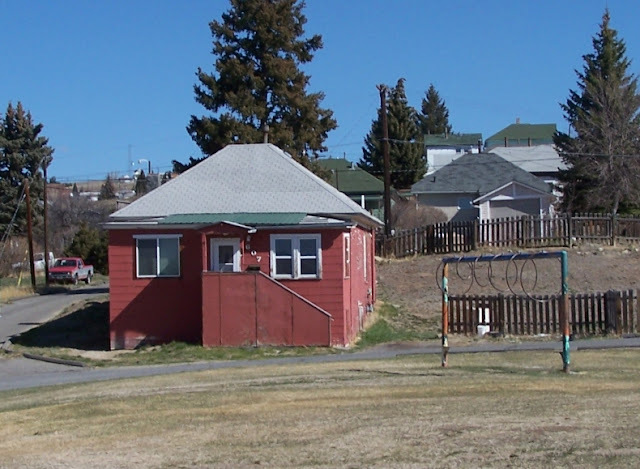 In 1920, the offices of District #1 moved from their longtime quarters at Butte High School to the new facility. 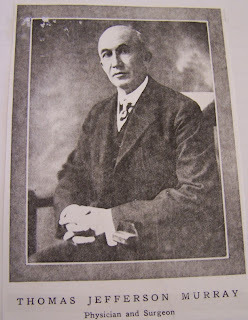 At that time, Superintendent W. E. Maddock administered twenty-four schools including the high school, a junior high school, an industrial school, seventeen elementary schools, and four ungraded rural schools. The 311 district employees, 286 of them women, served a total of 19,296 students. 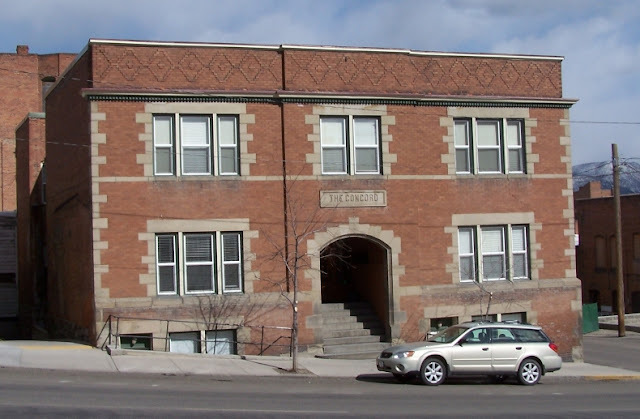 This familiar Butte landmark, significant for its attractive architecture as well as its long service, well represents the solid foundations of Butte’s public school system. Doric columns and an eighteen-light transom frame the entrance, while glazed terra cotta finishes the multi-paned windows, cornice, and parapet. The building’s historic appearance extends to its well-maintained interior, which features the original plaster walls and oak trim. This typical four-square miner’s home sits isolated today, as it always has. To the west was Missoula Gulch and the Anselmo Mine yard; to the south, Cherokee Park today (in the foreground of the photo above), was the Silver King Mine. The four lots to the east on Copper Street have always been vacant, mapped as “gulch” on the maps from 1900 to 1957. The house is of solid brick construction, not just veneer. By 1910 the Michael J. Shea family began a long tenure here. He was a miner, working at the Little Mina in 1910 and the High Ore in 1917. Michael J. died about 1941, but his widow, Mary, and their children Margaret and Michael C. continued to live here. Michael C. followed in his father’s footsteps as a miner, employed at the Anselmo in 1945. Son and daughter lived here into the late 1950s. Margaret worked as a dressmaker and clerk for several grocery stores until about 1960, when she became a dispatcher for the City Taxi Company. She worked there until the late 1970s, and lived here at 607 until 1979. The house stood vacant for four years until it came into new ownership in 1984. Resources: Sanborn Maps; city directories. Photo by Richard I. Gibson. Christian Science was a young religion when believers first gathered in a private Butte home in 1893; according to church teachings, Mary Baker Eddy discovered this system of prayer-based healing in 1866. 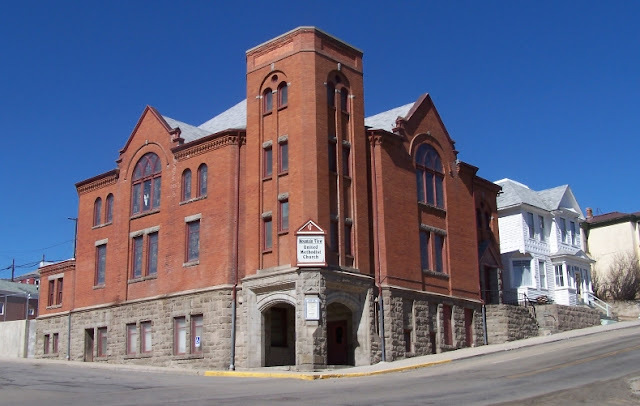 The congregation grew rapidly, and Butte’s First Church of Christ, Scientist, formally incorporated in 1911. Church members purchased a brick house on this site in 1914 and launched plans to build a new church two years later. In 1920 the congregation broke ground for its new edifice; increasing membership led it to expand the building in 1929. 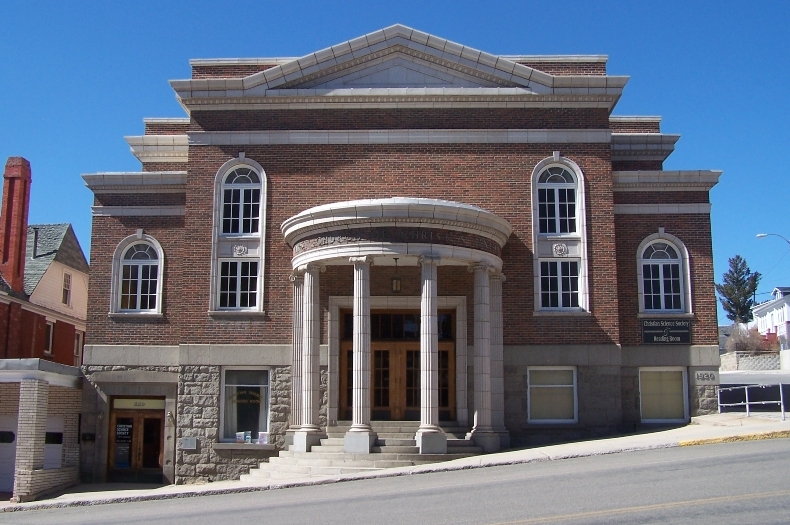 Prominent Butte architect Walter Arnold designed the Neoclassical building, which cost almost $100,000, all raised locally. The 1893 Columbian Exposition in Chicago had popularized Neoclassicism just at the moment that Christian Scientists began building permanent houses of worship. Thus, Neoclassicism became the denomination’s style of choice. Modern auditoriums designed for utmost comfort, large foyers to encourage sociability, symmetrical façades, and prominent porticos supported by classical columns were church hallmarks. Neoclassicism’s association with “beauty, harmony, and unity” suited the church’s ideology. The style also asserted permanence, a factor particularly important for the young religion. This corner was occupied by a large, bay-fronted mansion built before 1884 and expanded by 1888. By 1916, the Christian Science church occupied that house prior to building the church that stands here now. Source: historic plaque by Montana Historical Society; Sanborn maps. Photo by Richard I. Gibson. Rev. Hugh Duncan, a circuit-riding minister, led Butte's first Methodist Episcopal services in 1873. A dance hall, and later a school, served the early congregation. W.A. Clark was president of the original board of trustees for the previous church built on this prominent corner in 1883. Clark later became identified with St. John’s Episcopal Church. 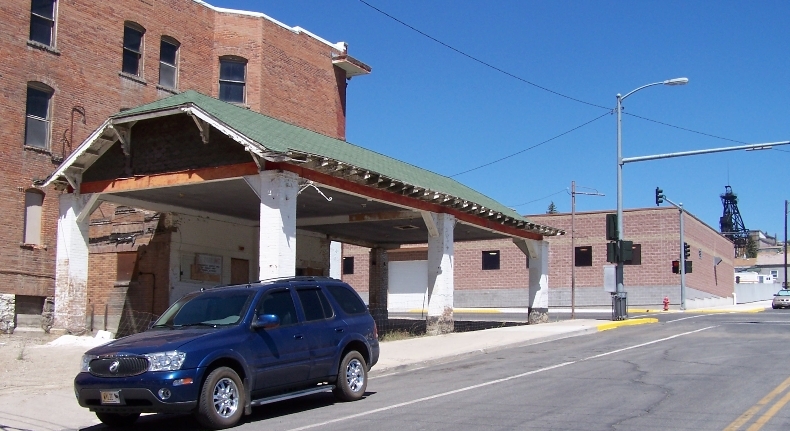 As Butte grew, that wood structure soon became overcrowded. Rev. W. W. Van Orsdel ("Brother Van”) helped lay the cornerstone for this grand church July 22, 1899. William L. Donovan and John G. Link were the architects of the $25,000 building. Link rose to prominence and later helped design the wings of Montana's state capitol. The church, completed in 1900, features a regal central tower with two arched entries. Magnificent stained glass richly embellishes the triple-arched windows on the south, north, and east. The sanctuary's semicircular arrangement and slanted floor, reminiscent of period opera houses, hosted some memorable community events. Famous speakers included social reformer Jacob Riis in 1906 and saloon-smasher Carrie Nation in 1910. Among Butte's eight Methodist churches, Mountain View was the "mine owners' church." Mountain View has hosted multiple choirs over the years, utilizing one of the most spectacular organs in the Pacific Northwest, installed in 1949 at a cost of $12,000. 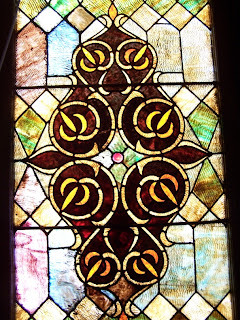 The stained glass here was very likely manufactured by the Butte Art Glass Works, although the windows are not signed. Their textured surfaces, created by “rough rolling,” are typical of the Butte factory, and were intended to give depth and increased scattering of light. Two more recent windows were made by J&R Lamb Studios of New York. 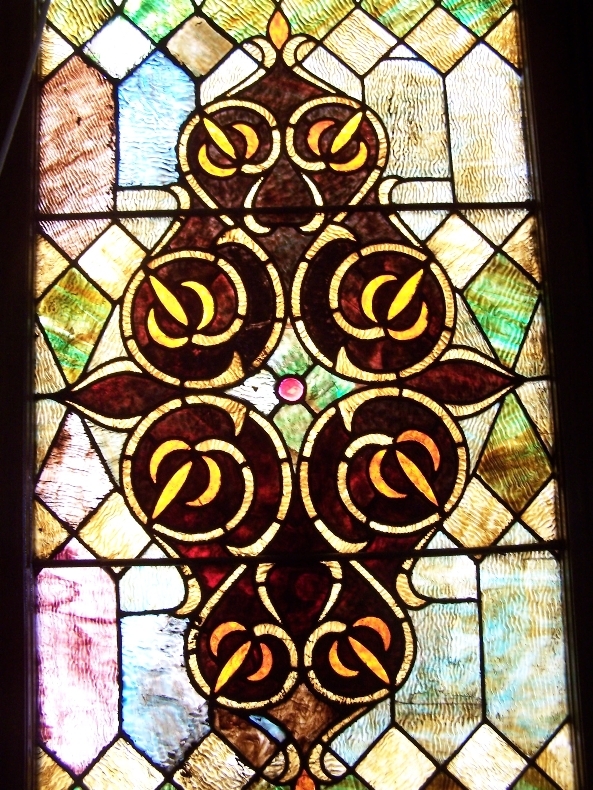 Resources: Modified from historic plaque by Montana Historical Society; Historic Stained Glass in Selected Houses of Worship, Butte, Montana, published by Butte Citizens for Preservation and Revitalization, 2006, Mountain View Methodist Church, by Richard Gibson; Architectural inventory; Sanborn Maps; city directories. Photo by Richard I. Gibson. Tucked into the steep slope of a Butte hill, this wonderfully preserved four-square cottage well represents Butte’s working backbone. 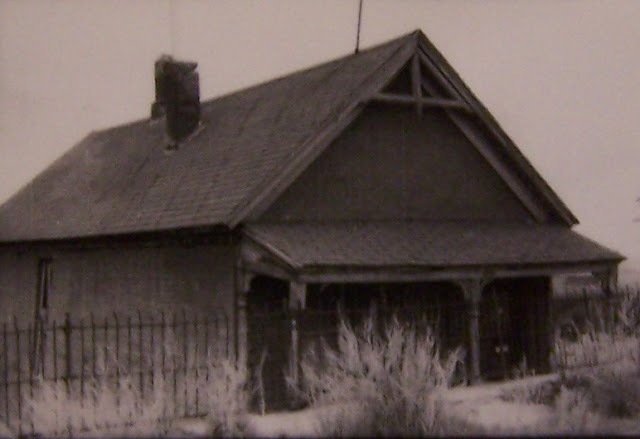 Real estate mogul Josiah Beck built the modest home in 1885 over the Silver King Lode. Charles Eltinge, its first owner, was a correspondence clerk for W. A. Clark. The Eltinge family was strangely connected to America’s first famous female impersonator, William Julian Dalton, who was a neighbor and chum of Eltinge’s son. The performer took Julian Eltinge as his stage name. By 1916, James and Bridget Shea owned the home. Widowed during the influenza epidemic of 1918, Bridget raised four small children working as a waitress. She began a 25-year career in 1930 as business agent for the Women’s Protective Union, likely having experienced this need firsthand. The Shea family owned the house until 1978. Unusual decorative lattice and diamond openings at the porch base add individuality to the standard vernacular design. Original varnished woodwork, French doors, and hardwood floors grace the interior. Bridget’s carefully tended garden of shrub roses, lilacs, and lavender are a fragrant and lasting legacy. The house was built as a small four-square home, but a kitchen was added on the north side before 1888, and further additions between 1900 and 1916 created a long rectangular building. The front porch was enclosed in the 1930s. This block was Irish for at least 50 years; the shamrock and “IRA” for Irish Republican Army, painted in the basement, date to 1932. Basement wall construction is diverse, including unmortared rubble, brick, granite blocks, and granite bedrock. Resources: Historic plaque by Montana Historical Society; Vernacular Architecture Forum Guidebook, Butte, Montana, 2009, 211 West Quartz Street, by Richard Gibson; Architectural inventory; Sanborn Maps; city directories. Photo by Richard I. Gibson. The publisher of copper king W.A. Clark’s newspaper, the Butte Miner, used this space as a printing office from 1884. In 1906, Butte florist James King partly demolished the older structure and erected this unique two-story building. The year 1906 marked the beginning of a new period of growth precipitated partly by a thriving copper industry and by freeing up of investor money as the legal battles of the War of the Copper Kings were largely ended. This optimism is mirrored in the architectural exuberance seen not only in Butte’s much grander buildings of the time, but in small businesses as well. The green-glazed brick and exotic Moorish revival arched windows provide an excellent example of this building trend, unique in Butte. See also this Butte History blog post for an attempted murder connected with this building. 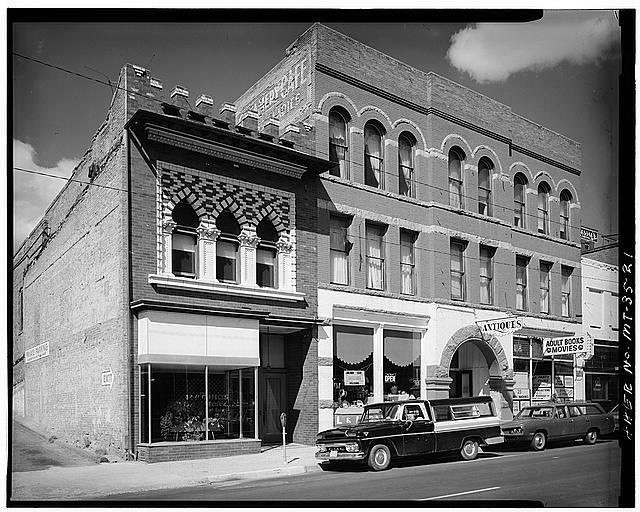 Check this post for a report on the Miner Building, and this link for the small office building on West Broadway, which together replaced 27 W. Broadway as the Miner's offices and press room about 1901. Resources: Historic plaque by Montana Historical Society; Architectural inventory; Sanborn Maps; city directories. Modern photo by Richard I. Gibson; historic photo by Jet Lowe from HAER survey, 1979 (public domain via Library of Congress). 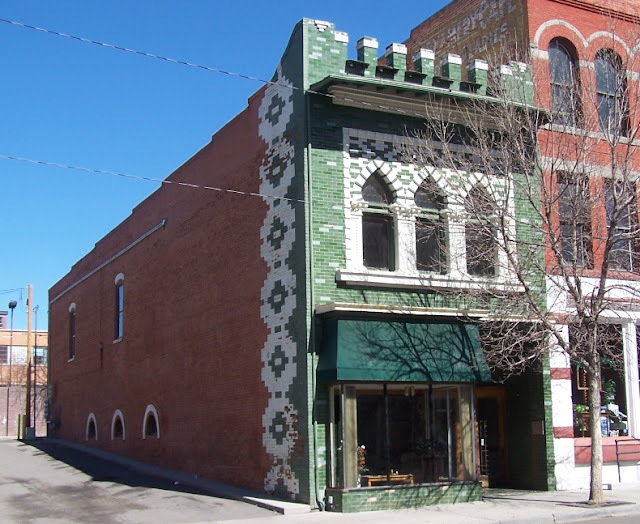 The stone foundation and masonry fabric of this early 1880s commercial building reflect the change to fireproof building materials after 1879, when a catastrophic fire destroyed most of Main Street. In 1884, the two-story building, like many of its neighbors, had multiple uses. A millinery shop occupied the first floor, the second floor housed a carpet warehouse, and the basement functioned as a dwelling. By 1890, Thibault and Inghran ran a saloon on the premises, thereby establishing the building’s major commercial use that continues today. Blue and yellow tile highlight the 1930s ground-floor façade, which adds to the architectural history of this well-seasoned building. The upper-floor façade with its two front windows and decorative parapet preserves the building’s 1880s appearance. Resources: Historic plaque by Montana Historical Society; Architectural inventory; Sanborn Maps; city directories. Photo by Richard I. Gibson. A gentle arch, a simple balustrade, and a pair of sloping columns frame the entrance of this quietly elegant residence dating to the mid-1880s. An exceptional example of the hip-roofed cottage with a central gable, the well-preserved Victorian-era home appears much as it did when first owned by druggist Harry D'Acheul. Unlike other homes in the neighborhood that share its architectural style, the fine interior furnishings here indicate that the residence was custom-built and not originally intended as a rental. An arched entryway, a square bay framed in decorative wood, and an ornamental ceiling medallion grace the formal dining room while original six-inch woodwork remains intact throughout. Also unusual for its size are the four chimneys, which serve a living room fireplace, a woodstove, the furnace, and the kitchen. D'Acheul, who lived here until the mid-1890s, no doubt found this location convenient to his wholesale and retail business at 32 North Main. In 1902, Philomene LaChappelle, mother of Anna, lived here. Anna became W.A. Clark’s second wife circa 1901. For most of its existence this house had 313 as its address. Some time after 309-311 West Granite became a single residence instead of a duplex, this one carried the 311 address as it does today, and there is no 313 West Granite now. This four-square house, a typical workingman’s cottage one block north of William Clark’s Copper King Mansion, was built as a 1½-story structure before 1884, set back from the street. By 1888, the two-story section was added to the north, along the street. It is a wood frame structure with a stone basement. Sarah Knox, widow of Thomas, was the original (1884) owner. She was taking boarders into furnished rooms as early as 1884, when the address here was 59 W. Quartz. Sarah, born in 1816, died November 20, 1900. In 1914 the Trueworthy family began a long tenure here. Edward Trueworthy was a miner at the Tuolumne Mine in 1917; he worked at various mines over the years, including the Butte Main Range. His brother Fred, a carpenter at the Black Rock Mine in 1917, also lived here in the 1910s. By 1928, Ed Trueworthy, his wife Mayme, and their children Charles, Edward Jr., and Margery were here, along with a boarder, John J. Dolan, a miner at the Etta Mine. Ed was working then as a machinist or mechanic at the Montana Auto & Garage, 202 East Broadway. Edward Jr. continued to live here with his wife Jessie until about 1969. In 1964, they still had a boarder, Dennis Abeyta. The vacant lot to the west of this home is unusual in that it never held a house. It is the site of one of several shafts of the Silver King Mine. There was a house on the corner of Idaho Street, just west of the mineyard, which was only one lot wide. Resources: Architectural Inventory, Sanborn maps, city directories. Photo by Richard I. Gibson.